Creating a Credit Note will reduce the member's Accounts Receivable balance, but if your members are paying invoices via credit card through the member portal, you may also need to allocate the credit note amount to the outstanding invoice, so that the invoice balance is also reduced. Make sure you create a Credit Note first - Read more on drafting credit notes from scratch or on crediting an invoice. Go to Invoicing > Accounts Receivable and select your customer's account. 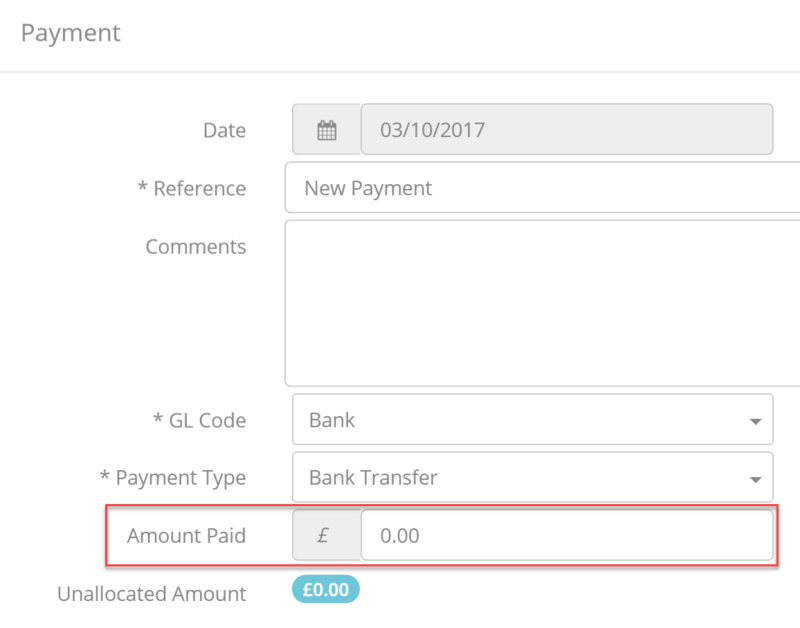 Add a Payment (read more on payments here) - make sure that you do not add anything in the Amount Paid field - this should be '0'. Next, scroll down (if needed) through the list of transactions below, to find both the Invoice you need changed and the Credit Note that needs to be applied to it. Allocate the exact amount of the credit note to the credit note record itself (in negative); as well as to the corresponding invoice (in positive), as shown below. The amount of the invoice will now decrease by the amount you have just allocated. If your allocation is correct, the unallocated amount should be "£0". Click OK when you are ready. 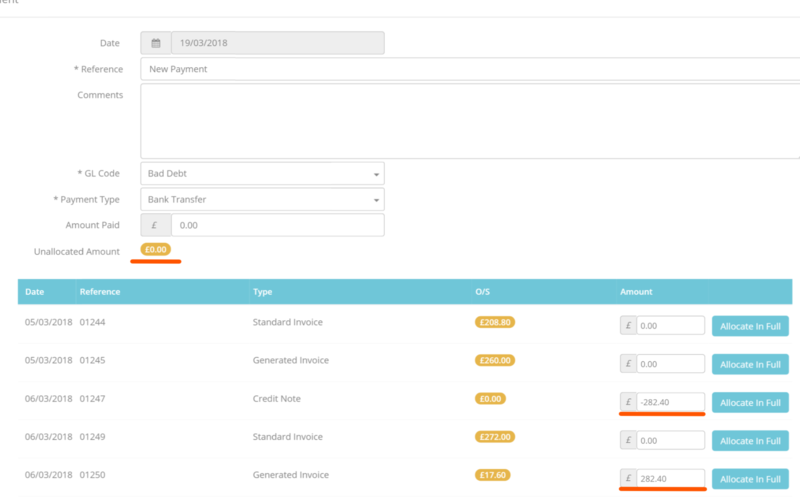 Whenever your customer will want to pay for this invoice via any method (including through the Portal), they will see the new invoice balance amount, which will be the total initial amount minus the credit.